The Catalan elections on 21 December were a massive defeat for the Spanish nationalist “block of article 155” and an even bigger blow to this block’s main force, the PP party. The capitalist media try to minimise the magnitude of this defeat by talking about the “victory” of Ciudadanos (right wing Spanish nationalist party) but the reality is different. Even if we take only the votes of Junts per Catalunya (JuntsxCat the list led by Catalan President Puigdemont) and ERC together, they won more than 800,000 voted more than Ciudadanos. This result is even more important if we take into account the fact that the electoral campaign was full of irregularities, threats and desperate attempts by the Spanish and Catalan ruling classes to prevent the mass support for a Catalan Republic being expressed. Since calling the elections, the PP government tried to demobilise the vote in favour of a Catalan Republic by stating that even if these parties won and tried to fulfill the mandate of the people, the only result would be the maintenance of article 155 and more repression. The have opened up new judicial proceedings against leaders who participated in the 1 October referendum, like Marta Rovira, Artur Mas, Ana Gabriel and others. The campaign of fear promoted by the Spanish and Catalan capitalists since 1 and 3 October (with the withdrawal of companies from Catalonia, threats of economic collapse, and even apocalyptic talk of dead bodies, and civil war) has continued and intensified in the days prior to the elections and on the day of the vote itself. JuntsxCat and ERC have also been obliged to run their campaigns without their lead candidates (in prison or exile). None of this has been able to deter millions of Cataand from struggling for their legitimate democratic will to be implemented, expressed already on 1 October against vicious repression. Far from representing a shift to the right, as Pablo Iglesiaas and other leaders of Unidos Podemos have said, these results represent a new impressive mobilisation of the same masses who confronted batons and rubber bullets on 1 October. More than 2 million people have again shouted loud and clear to all those willing to listen, who have not been silenced by fear or parliamentary cretinism, that they want to break with the repressive regime of 1978 and will not allow their struggle for a Catalan Republic which guarantees real social improvement and change, to be shut down. Soraya Sainz de Santamaría, Spanish Vice President, who plays the role of viceroy in conquered territory in Catalonia following the application of article 155, boasted days before the referendum that the independence movement had been decapitated. However, those who were decapitated and crushed in these elections were the PP, the most corrupt party in Europe, inheritors of Francoism, champions of repression and censorship. The PP lost almost half its votes since 2015, and went from 11 to 3 seats, not even able to form a parliamentary group. Conscious that the PP is met with massive rejection in Catalonia, the Spanish and Catalan capitalists have made the biggest money and propaganda investments in living memory to try and channel the vote of the more confused and backward layers of Catalan society, those most impacted by the campaign of fear, around the campaign of Ciudadanos, led by Ines Arrimadas. However, their plan, which was to prevent a majority in favour of the Republic and form a government controlled by the reactionary monarchist block, has failed. Ciudadanos has won 300,000 new votes but these are votes mostly taken from their rivals, including traditional Socialist Party (PSC) voters which the PSC had hoped to recover. These voters preferred Ciudadanos (who they had still not seen in government) to the promises of “regeneration” from the PSC which is more and more discredited. 165,000 PP voters also switched to Ciudadanos. Ciudadanos campaign was based on the absence of any concrete programme (it’s programme is that of big business, the same as the PP is applying). Arrimadas made constant demagogic declarations, calling for attention to be paid to social problems rather than the independence process and using the flight of companies and capital to present scenario of nightmares if independence was declared. This was all mixed up with lies designed to play on the feelings of wide sections of the Catalan population with origins in the rest of the Spanish state. This demagogic campaign allowed them to win the votes of sections of the right and far right, but also of a layer of workers from industrial neighbourhoods in the “red belt” of Barcelona and Tarragona, who have been hit by the crisis and demobilised by the collaborationist policies of the major trade union (CCOO and UGT) leaders, and disappointed by the lack of a strong Left alternative. Incredibly, the leaders of Catalunya en Comu (Catalan electoral list supported y Podemos and IU) and Unidos Podemos (Spanish Left electoral list) refused to put the fight against the reactionary monarchist block and article 155 in the centre of their campaign, linking the defence of the result of the 1 October referendum and for the Republic, with mobilisation for social demands. Instead they put the reactionaries who have locked up activists and politicians for their ideas, on the same level as the leaders of the mass movement which has most directly threatened the monarchy and regime of 1978 in the last 40 years. They even refused to clearly denounce the existence of political prisoners or demand their freedom. The rhetoric of the Unidos Podemos and Catalunya en Comu leaders repeated the false arguments of the right wing like Ciudadanos, saying that the referendum was illegitimate or that the struggle for the Republic was to blame for the threat of fascism. Some leaders like Monedero, even justified article 155. This all served to strengthen reaction and facilitate that Ciudadanos could capture the votes of layers of workers who were demoralised and affected by the campaign of fear. If their campaign has reflected political bankruptcy, the most deplorable are the statements by Alberto Garzón and Pablo Iglesias assessing the results of the elections. To hide their political failure, to hide their inability to intervene in the national liberation movement of Catalonia defending a class programme, these same leaders who during the campaign advocated respect for the regime of 78 supporting a referendum agreed with the same PP and the same State that will never allow the right to decide, now they have the nerve to say that in these elections “The two right wings have won” trying to blame the people of Cataloni for their failures. The reality is exactly the opposite of what Alberto Garzon and Pablo Iglesias say. It is the repressive, Francoist character of the regime of 1978 which pushes millions of people to want to break with it and fight for a Catalan republic as the first step to resolve their problems. If Unidos Podemos and Catalunya en Comu clearly supported the struggle for a Catalan Republic, linking it to the fight against the PP corruption and in defence of a socialist programme, it would be possible to already bring down the Rajoy government, deal a decisive blow to the discredited system and open the way for the fight for a Republic in the rest of the Spanish state. Far from this, the leaders of Unidos Podemos and Catalunya en Comú have behaved like old-fashioned social-democratic politicians, appealing to “love” and “Cordiality”, to “reconnect” society, at a time when the PP is ruling Catalonia with the police baton, despite having only 3 MPs in the Catalan parliament. One of the results which will have surprised many Left activists is that JuntsxCat won more votes than ERC within the independence camp, and that the CUP lost votes and seats. It would be mistaken to identify votes for JuntsxCat as political support for the right-wig PdeCat party. Hundreds of thousands of young people, middle class and even layers of workers who have fought against PdeCat and Convergencia (its predecessor) voted for JuntsxCat because they see Puigdemont as someone who has fought against the state and who is denouncing repression and organising a struggle from exile. The JuntsxCat list was seen by many as the list officially linked to the ANC (main pro-independence social movement). 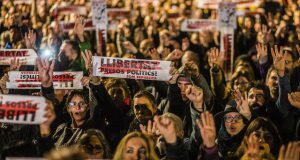 Its campaign was also more clear in its rejection of repression than that of the ERC leaders like Forcadell, Rovira and Junqueras, who said they would accept article 155 and the Constitution. 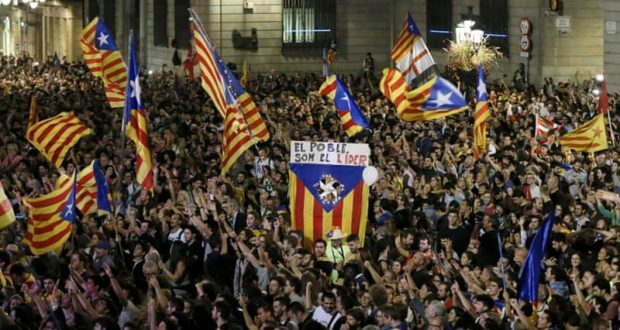 In the face of the threat of a victory for the pro-155 parties, many voters decided to concentrate their vote in ERC and JuntsxCat to guarantee a majority for the pro-independence parties. The results for the CUP also show how it is not enough to merely state that the Republic must have a social content in electoral rallies. As we have explained elsewhere, the CUP comrades have played a key role in guaranteeing the referendum on 1 October and fighting to respect its result through the CDR committees (Committees in Defence of the Republic) and on the streets against the repression of the PP, Ciudadanos and PSOE. However, the CUP is paying for its leaders’ mistake, in deciding to prop up the PdeCat in government, vote in favour of its budgets and generally tail-ending the other pro-independence parties. This policy was maintained also on the streets, in their refusal to develop an independent strategy of struggle which would have allowed them to overcome the PdeCat leaders from the Left and take forward the struggle for a workers Republic of Catalonia. When, under the pressure of their rank and file, they took a clearer turn to the Left (refusing to coalesce with PdeCat in the elections), it was too late. The scenario a nightmare for the Spanish and Catalan bourgeoisie, which they are already weaving new repressive plans. 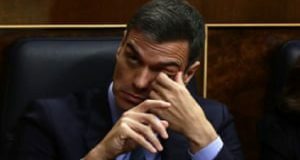 In fact, the new legal proceedings against prominent figures who participated in the 1-O referendum such as Marta Rovira, Mas, Anna Gabriel and others, who are accused of the crime of “rebellion”, make it very clear what the strategy of the Spanish State and the PP is after its electoral defeat. Although they try to disguise it, the reactionary bloc is in these moments dismayed by the result. El País, which stands for its role in the crusade against the Catalan people, recognized it in the headline of its editorial on December 23: “Do not panic”. The heading is as illustrative as its content: “The pro-independence parties have achieved a remarkable result (surprising …). ” Yes, it has been surprising for these champions of repression, manipulation and lies. They believed that they could bend the will of a people, and been taught an unforgettable lesson, like on 1 and 3 of October. What will happen now? The perspectives are not easy to lay out, but it is necessary to analyze the fundamental trends. 1. The PP has sunk in Catalonia and Ciudadanos has swallowed its electoral base. This fact has deep political consequences for the whole Spanish state. It is a serious threat to Rajoy, because the surge of Ciudadanos could be consolidated. For this reason, it is even more improbable that the government of Rajoy and the State will meaningfully negotiate with the Catalan independence movement, or even agree to a constitutional reform. If they do something like that, they know they will leave the way open for Ciudadanos to undermine them further. The PP will continue polarizing politics around the Catalan national question, and will not hold back. 2. The judicial processes and the repression will not subside, quite the contrary. The state will not renounce attacking the bourgeois and petty bourgeois politicians of PDeCAT and ERC in order to force them to renounce the struggle for the republic. It is improbable that the state will allow Puigdemont to assume the Presidency of Catalonia. 3. The failure of Unidos Podemos in Catalonia also has great consequences. Without understanding the role of national oppression in the struggle to transform society, Podemos has intervened in Catalonia with a position full of inconsistencies and concessions to Spanish nationalism. The refusal of Pablo Iglesias to lead the fight for a Catalan Republic and his turn to the right in recent months, including social demobilization in the rest of the Spanish state and the failure of his objective of removing Rajoy through parliamentary pacts with PSOE, are a guarantee for new disasters. If this position is not rectified, Podemos could enter a stage of electoral and political decline. 4 The ruling class have not been able to end the revolutionary crisis which was opened up by the victory of the masses against repression on 1 and 3 October. This explains why their faces were like funerals on election night, despite all the propaganda about Ciudadanos. Even Catalan leader Albiol was forced to admit defeat saying “they should celebrate their victory, as it will only last 5 minutes”. The reactionary block has suffered a defeat. The political and social crisis in Catalonia will continue and sharpen, and the legitimate aspirations of the Catalan people will not be satisfied by this reactionary state. In the current conjuncture, it is key that the social movements and parties of the left who have carried the weight of the struggle for the Catalan Republic and the right to decide, resume mobilization on the streets. We can only defeat repression, free the political prisoners and prevent the consolidation of article 155, if the action of the masses is visible and overwhelming. This is the task of the CUP, of Som Alternativa (the formation around Alberto Dante Fachin who was pushed out of Podemos for supporting the movement), of the CDR committees, and of all those organizations and activists who stand on the combative left. • Down with article 155! Freedom for all political prisoners! Withdraw the Spanish national and military police from Catalonia! • Repeal all reactionary labour reforms and pension reforms! Retirement at 60 with 100% salary and equal conditions for young workers! • Ban evictions! Expropriate empty homes held by the banks to create social housing! • Re-nationalise all privatised public services, maintaining and increasing the workforce and respecting workers’ rights. • Repeal the reactionary education laws! Public, quality, free and universal education from infancy to university! • For the right to public, free and universal healthcare! • Solidarity with refugees! Repeal the racist migration laws and close down the prison camps for migrants! • For democratic rights to speech, meetings and organisation! 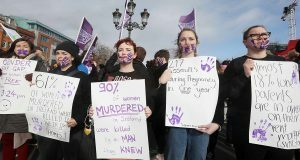 Repeal the repressive laws! • Nationalise the banks and strategic industries to bail out working class people and guarantee decent living standards.